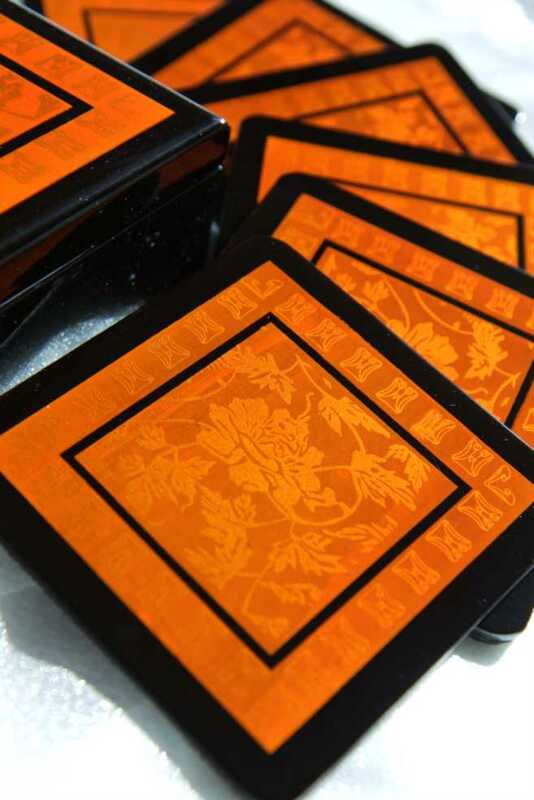 Vietnamese hand made high quality lacquerware! 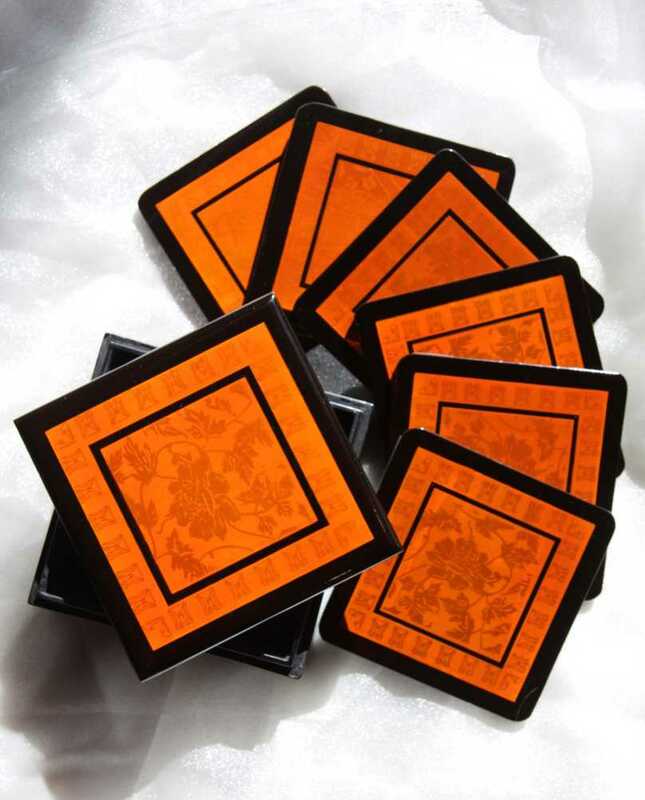 A set of coasters: a box with 6 lacquer coasters hand painted with beautiful gold patterns. Each coaster is padded with felt to protect your furniture.